I am thankful to have City of Hope in my life. I lost my mother, Joyce Ann Shannon, to lung cancer on November 28, 1997- the day after Thanksgiving. She was 49 years young. I have missed her EVERY day since she lost her battle to cancer. My mother fought lung cancer for over a year and a half. I have never watched someone fight with all their might to beat such a beast only to be defeated. I continue her fight by raising money for City of Hope. I stand behind City of Hope and believe that they will find a cure for cancer. Their research has advanced cancer treatments and is giving cancer patients a fighting chance to beat cancer. This year marks the 14th Annual Fitness for Hope hosted by SWEAT Fitness (register here). I started my career at SWEAT one month after I buried my mother. Fitness for Hope is a pinnacle event for SWEAT and many of my SWEAT life long friends and colleagues, Donna Storm, John Rosado, Holly Waters, Laura DeRiggi. and Keisha Williams, to name a few, support the event. Donna Storm, SWEAT’s group fitness director, a fitness expert and avid fundraiser for charities, is a founder of Workout for Hope. She has hosted or co-hosted Workout for Hope since its inception. Donna is a co-founder and co-host of SWEAT’s Fitness for Hope. John Rosado, who I met on my first day at SWEAT, is a great personal trainer and a a regular supporter of our Fitness for Hope event. John has always felt like a brother to me. When his mother, Peg, was diagnosed with cancer. I could see the worry in his eyes. Fortunately, John’s mother WON her battle with cancer. Thank you Peg—you are an inspiration and give Hope. John continues to support Fitness for Hope through hard work and dedication. Laura DeRiggi, is a cycle instructor at SWEAT Fitness. 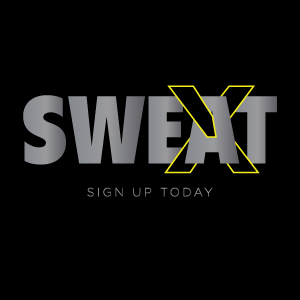 Laura has been an instructor at SWEAT since the day the doors opened. Laura has taught a two hour cycle at every Fitness for Hope. She is out to demolish cancer. Every year she walks in to teach, says “here is some money towards the event, oh and put my next paycheck to City of Hope.” She brings tears to my eyes every year. “I ran my first race with him…He cheered me on every day of his life…Cancer took him away from me. I miss him so much it hurts. Keisha Williams, director of our Arch Street location. Keisha is a single mother of four with a gigantic heart. If you are in Keisha’s heart she truly is a friend who would give you the shirt off her back. This year her father was diagnosed with prostate cancer. Her father is fighting and Keisha is fighting for him in many ways, including through fund raising. Fitness for Hope 2014 began this year out of our Arch Street location. Keisha is the driving force behind the pre-event Fitness for Hope tee shirts and ribbon sales. Keisha has jump started our fund raising, bringing incredible energy to Fitness for Hope 2014. I am incredibly grateful! Special thanks to my family, friends, colleagues, Harry Giordano at City of Hope and all of the SWEAT employees and members who help make the event successful year after year. Fitness for Hope is an incredible fitness event because of you.